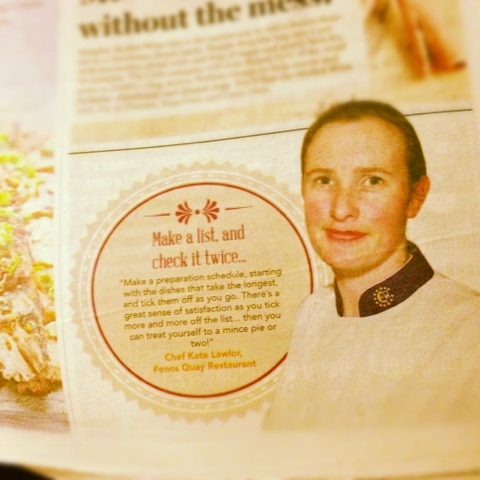 Kate Lawlor Chef : Stressing over Christmas dinner ???? Stressing over Christmas dinner ???? So it's just over a week to the big day where I take a day off and let my family do the cooking ! Well not all we all tend to pitch in with a big family brunch and then dinner later in the evening all knowing what dish we are responsible for who's in charge of the drinks etc. So it's a bit like how a pro kitchen runs we have our lists were all delegated jobs so their isn't huge stress on just one individual we all cross off the jobs as they are done so their is no confusion as to what's done and what's not we work as a team and enjoy a laugh or two . Tip start with the job that requires the longest amount of preparation and leave the small jobs to last ! Just moved to Worcester England, after a stint as head chef in the kitchen at the Oyster Tavern 4 Market lane Cork City . 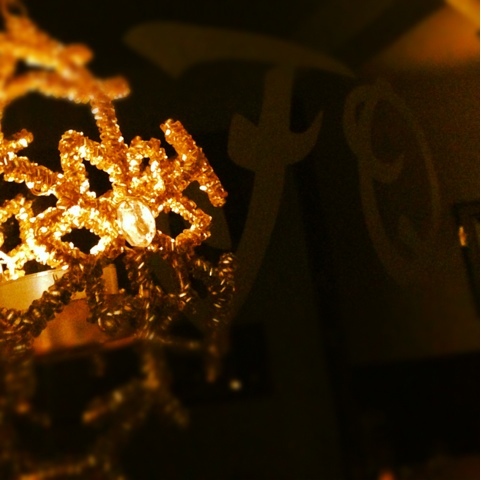 After running award winning restaurant Fenns Quay for 9 years . A proud member of Eurotoque Ireland and a current Commissioner. BA in culinary arts awarded by Cork Institute of Technology.